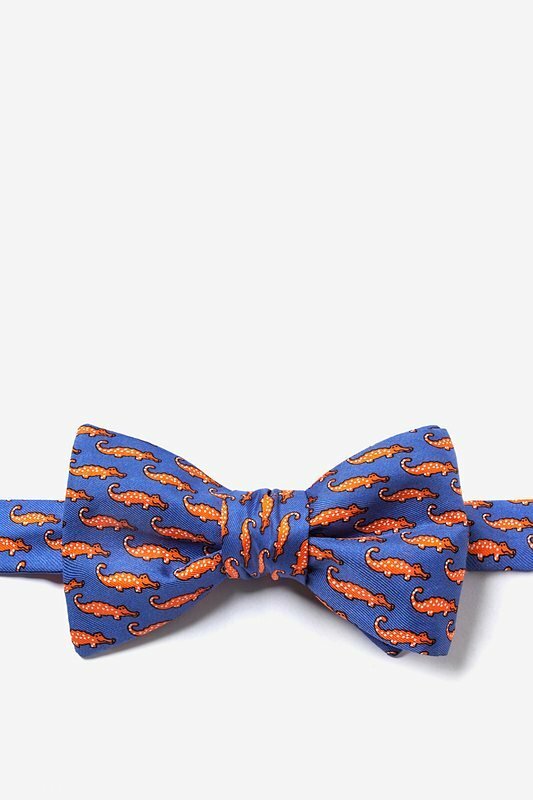 This blue 100% silk men's freestyle bow tie by Alynn Neckwear features Mini Alligators, perfect for anyone who loves these powerful animals. Interested in the tie,... read more This blue 100% silk men's freestyle bow tie by Alynn Neckwear features Mini Alligators, perfect for anyone who loves these powerful animals. Interested in the tie, but not exactly sure how to tie a freestyle bow tie? Don't fret, we've got you covered! Each freestyle bow tie comes with instructions on exactly how to tie your new bow tie.